Customize your CDs/DVDs for easy identification, organization or to add eye-catching graphics. 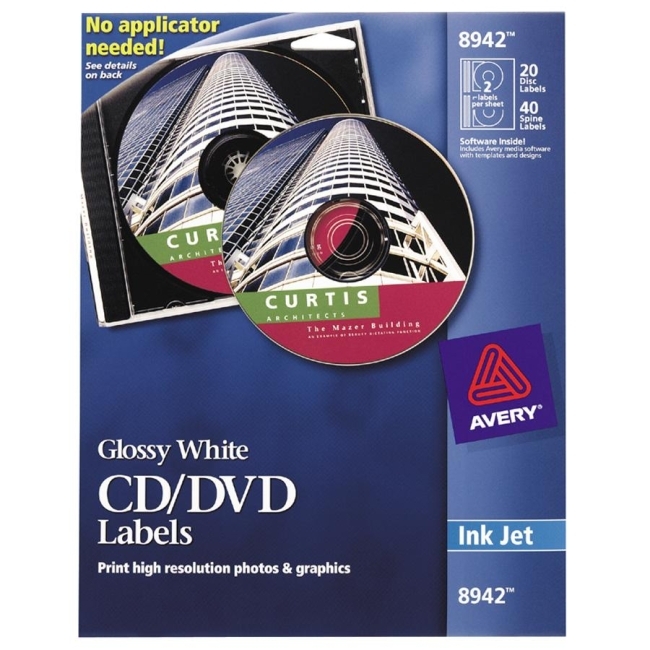 Labels feature a unique, patented design which centers labels using a standard jewel case or labels also can be applied with Avery CD Label Applicator. Labels feature print-to-the-edge capability. 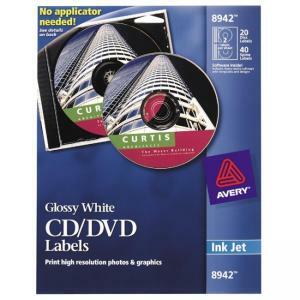 Avery offers many easy-to-use Avery Templates for Microsoft Word and other popular software programs. Designed for use in inkjet printers.